As the U.S. summer research support program in Greenland came to an end last week, agency representatives assembled in Greenland’s picturesque capital of Nuuk for two days of meetings. The goal: to further coordinate U.S. research activities on the island, especially focused on changes resulting from Greenland's increased self-governance effective in June of 2009 (an island in the Kingdom of Denmark, Greenland has gained increasing autonomy since voting for self-rule in 1979). Leaders from several Greenlandic agencies met with program managers from the National Science Foundation’s arctic division, officers from the New York Air National Guard’s 109th Airlift Wing, and CH2M HILL Polar Services staff to discuss Greenland’s permitting policies, safety, field travel, and environmental regulations. 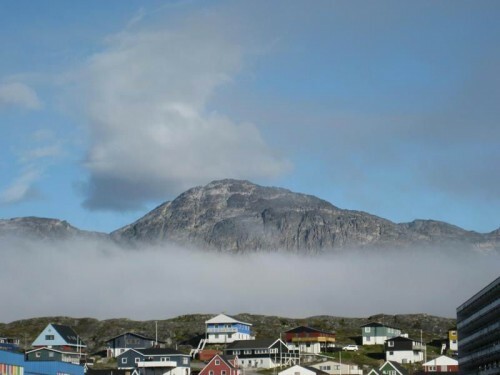 Though it's home to only about 15,000 people, Nuuk is a thriving metropolis compared to other Greenland communities, more than doubling the population of the next-largest community. "Nuuk is pretty crazy compared to anywhere else I've been in Greenland," Jason Buenning wrote. "Kanger it ain't. Even Ilulissat doesn't really compare when it comes to amount of traffic and larger buildings...! All the food we had was quite good, ($90USD dinner anyone?) and generally we drank beer that was brewed there in town (besides the random Carlsberg or Tuborg) and it was tasty and expensive."